Some time ago, I came across a funny story — did you know Taiwan tried to disguise cruise missile deployments as delivery trucks? Guess how well it worked? Well, you’re reading about it here, aren’t you? The story was actually reported in near real time in Taiwan. But I’ve never see a full write up of the cruise missile and the deployment fiasco. So, I thought I’d write the rare blog post and do a podcast. For many years, Taiwan was reportedly interested in developing long-range missiles that could strike targets in China. Reports of the notional ballistic missile used names like Tien Ma (天馬) and Tien Chi (天戟) to describe a long-range ballistic missile that would be developed by the Chungshan Institute of Science and Technology based on the Tien Kung SAM technology. At this point, Taiwan has announced one LACM that goes by the name HF-2E, although there are reports of longer-range variants under development. The National Air and Space Intelligence Center helpfully confirmed the existence of the missile in the 2013 edition of Ballistic and Cruise Missile Threat. Michael Tsai described, a former ROC Defense Minister, has also described the missile in very general terms, including a February 2008 test, in his book God Bless Taiwan. So, we’re left to guess at what the HF-2E looks like. On the outside. 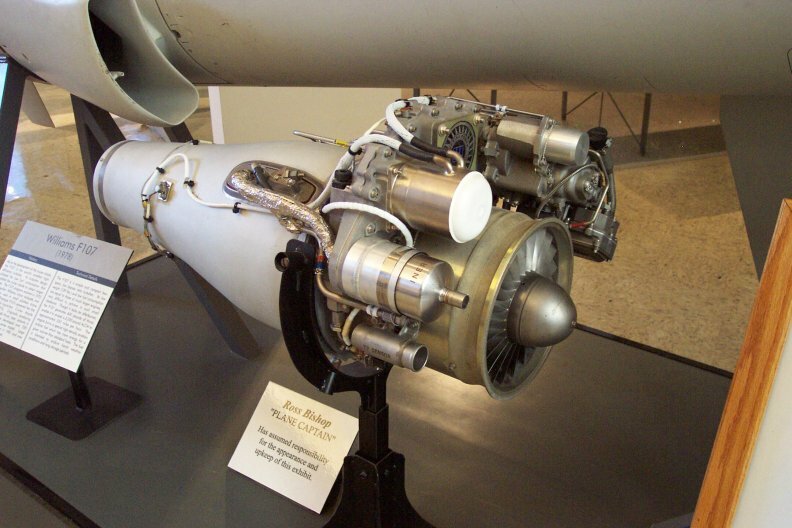 Despite having not seen a nice picture of the missile, we may have pictures of the engine. Surprising, right? 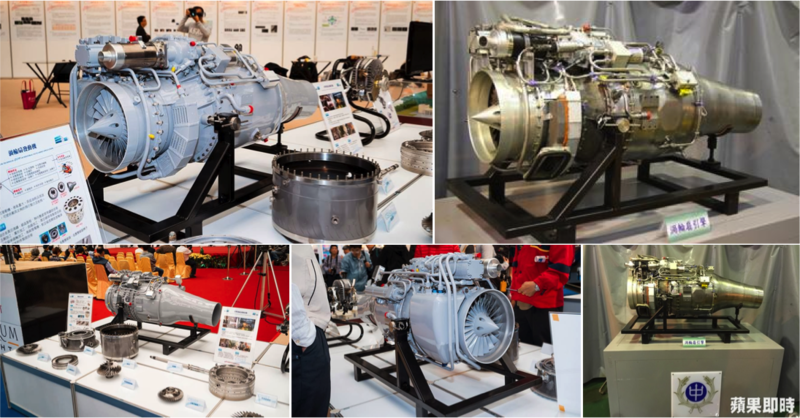 Two sets of images of an engine that is probably for the HF-2E have appeared. This engine bears more than a passing resemblance to the turbofan engine that powers the US Tomahawk missile. I haven’t been able to determine the exhibition or who took the pictures of the first set of images, but a second pair of images was part of a press conference by CSIST, where it seems an official explicitly said it was for the HF-2E. You can see the little CSIST “trident” logo on the display. It ought to be possible to make some guesses about the capability of the system using the image of the engine, but I am pretty busy right now. It’s on my list, but I wouldn’t be sad if someone beat me to it. Pretty quickly, a blogger using the handle Hojiyi correlated the bases to images, apparently circulating on the Mobile01 forum, of apparently military vehicles painted to look like civilian ones such as delivery trucks. Here is one image Hojiyi created. I haven’t been able to find the images at Mobile01; I suspect they may have been deleted. But too late! The truck isn’t really all that well disguised. 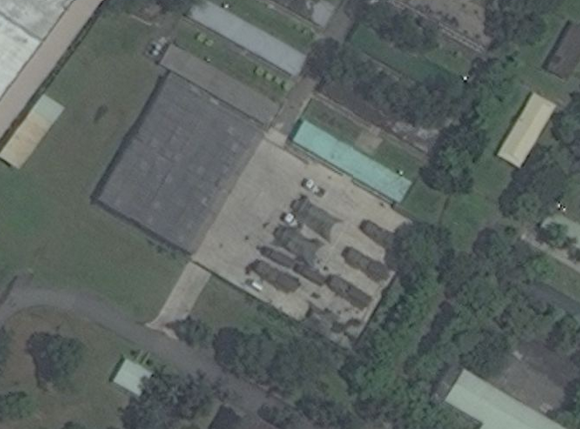 It looks a lot like a known ROC missile launcher — notice the similarities in the chassis compared to an HF-3 launcher. They are not identical, but they clearly bear a family resemblance. The similarities are more pronounced when compared to real delivery vehicles used by FedEx, DHL and other delivery services in Taiwan. Real delivery trucks tend to be smaller, commercially-available vehicles (Isuzu is a popular brand) that are marked with advertising information such as a website address or telephone number. You know, in case you wanted to use the service. After the blogger’s analysis, a reporter from United Daily News tried to look the company up. Nothing. A guy running a betel nut stand — a nice bit of local Taiwanese color — told the reporter he always wondered why there were suddenly delivery trucks all over his relatively quiet neighborhood. The Missile Command site, one of the deployment locations, is pretty amusing. Here is a view of the front gate. You can see the Nike-Hercules missiles on display from the street. You don’t have to guess what sort of base this is, thanks to the historical collection. The picture that Hojiyi posted online from this base wasn’t the greatest. Here is a better image. You can clearly see the white cabs that are apparently painted to look civilian. Other vehicles are tarped up. 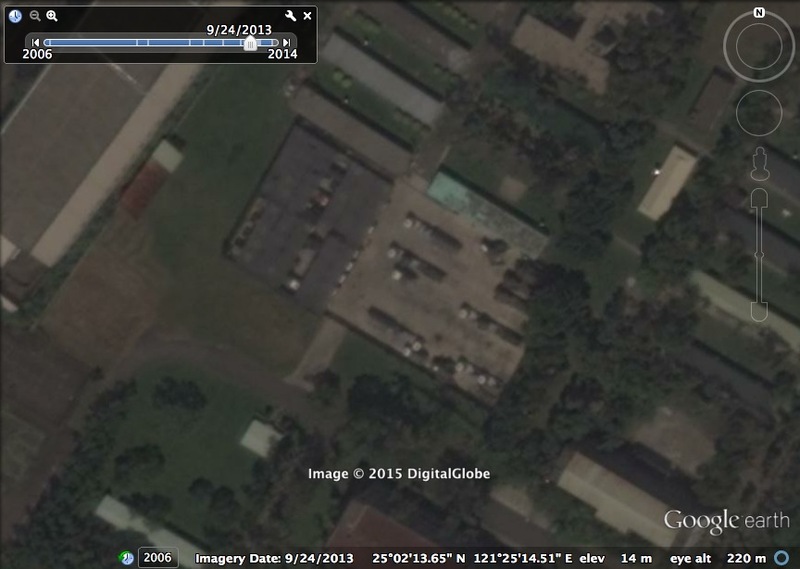 Moreover, this deployment yard was built in 2009, which coincides perfectly with public reporting about the deployment of the HF-2E. The Taiwan Defense Ministry may have no commented the stories, but in 2013 they confirmed them — they covered the lot to make it harder to see who was home. Here are three images from 2012, 2013 and 2014. Now you see them, now you don’t. Of course, now by then it was too late. They might as well have painted “SECRET LACM DEPLOYMENT SITE” on the roof, in simplified characters. 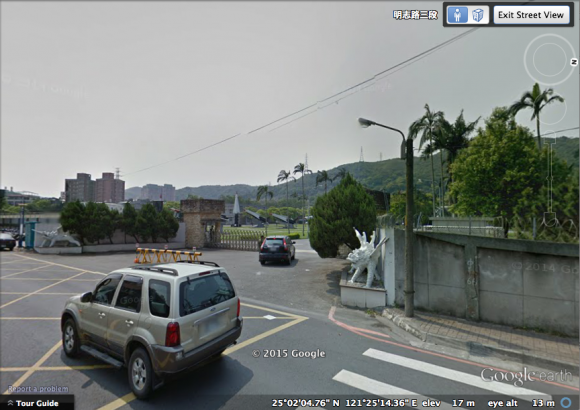 One can see the same kind of construction to cover the LACM deployment area at Yangmei. There was less change at Sanxia, but perhaps that site was always covered up. Minnick didn’t see any launchers out in the open at that site. 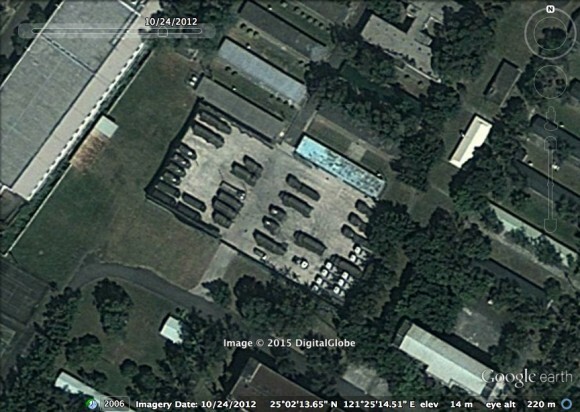 If I had to guess, I’d focus on the covered vehicle sheds at: 24°54’13.63″N, 121°21’25.47″E. The big take away is that it is pretty dumb, in this day and age, to try to disguise ground-launched cruise missile launchers as delivery trucks. It’s hard to make a fake that is convincing enough to fool everyone. Sure, lots of people wouldn’t notice, but someone will and then they’ll buzzing about it online. (Ask the Office of Secure Transportation.) 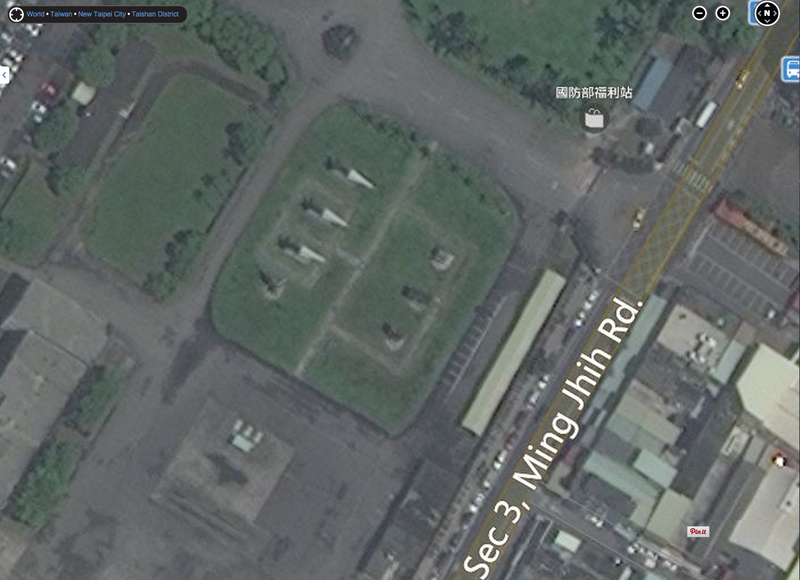 Once Minnick reported that Taiwan had deployed the HF-2E to specific sites, someone like Hojiyi was bound to put two and two together. The legend didn’t survive the slightest scrutiny by a reporter who quickly confirmed that “Red Bird Express” wasn’t a real company. Still, this probably isn’t the last we’ve heard of such ideas. The Russians market the Klub-K in a nifty, hard-to-identify shipping container. And our friends at the Oryx blog have noted the Syrian Arab Army’s preference for Mercedes trucks when hauling missiles around. But what the Taiwan case illustrates is that concealing a missile deployment requires a lot more work than simply adding livery to a military vehicle. In the modern era, where it is tremendously easy to snap a picture with your camera phone and there share it with thousands of people, Defense Ministries are going to have to try a lot harder than this. Well, I guess the upside is that Taiwan can include the HF-2E in the next 10/10 parade. Taipei, 4 February: The Ministry of National Defence declined Monday [4 February] to comment on a blog that claimed to reveal the location where Taiwan-developed cruise missiles and disguised command vehicles for the missile system are supposedly housed. “We won’t elaborate or comment on the information circulating on the Internet,” said ministry spokesman Maj. Gen. Luo Shou-he, but he assured that the military has measures in place to protect the country’s significant military facilities. Luo was responding to questions on a report in the Chinese-language United Evening News on Monday that cited information and photos on the blog, which collects information on Taiwan’s military and weapon systems. 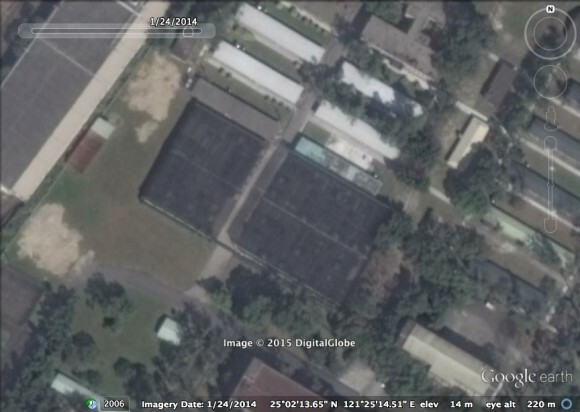 The blog shows satellite images of what it said portray one of the places where the missile system is located, as well as photos that it said are vehicles used for operations of the surface-to-surface Hsiung Feng 2E missile system. 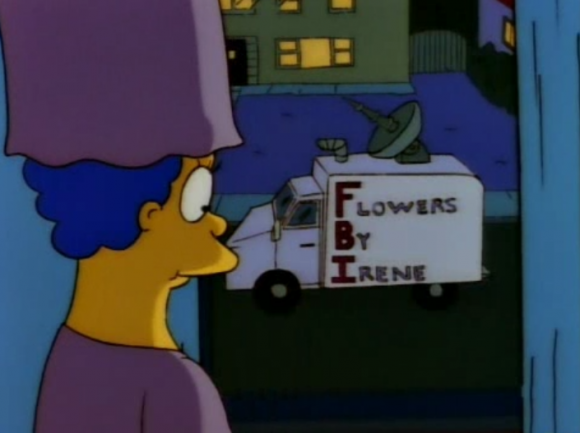 Some of the vehicles are painted as normal trucks for disguise, the blog said. Local media have also reported that the military has completed the mass production and deployment of Hsiung Feng 2E missiles, described as a deterrent against the military threat from China. The military has publicized little information on the missiles, which are developed by the Chung-Shan Institute of Science and Technology in Taoyuan, the military’s main research and development unit. The Google map history shows mostly decoupled prime movers that don’t match the truck photos. Perhaps a larger TEL? Or not.. The prime movers are probably associated with support vehicles. There are a couple of images that show one or two the delivery trucks. I’ll give you “Preponderance of the evidence”, but not “Beyond a reasonable doubt”. We have trucks painted for a fake delivery company which are similar, but not exactly like, trucks used as TELs. 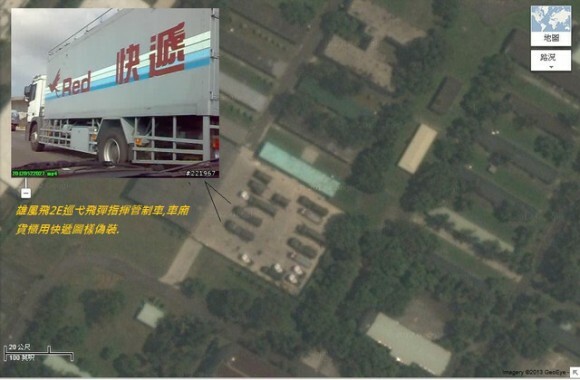 So far I haven’t seen anything that connects the trucks to the sites, and the overhead imagery shows similar vehicles at the military facilities, but not the “delivery trucks”. Admittedly this is better evidence than what we invaded Iraq over, but still not quite compelling. And is it just me or does the statue at the gates look like a flying pig? It’s worth going through the original post and all the satellite images. It’s a little more persuasive than I presented it. Didn’t want to oversell it.